Whether you’re recovering from an old injury or you need help recovering from a new one, our team of physical therapists and sports rehab professionals at Hopkins Health & Wellness Center and DMR Clinic Woodbury can help you achieve a full recovery. With our experienced physical therapists on your side, you can rest assured you’ll get the best care for your specific needs, injury, disability, illness, and/or health condition. Along with a thorough examination, we will diagnose you to create a customized treatment plan for your pain and/or condition. We designed our clinic to treat patients of all ages who have pain, injuries, medical conditions, limited or no mobility, and so much more. Whatever the cause may be — injury, illness, or disability — our physical therapists are ready to reduce your pain, restore your function, and enhance your mobility quickly and to the fullest extent possible. Whether you’re recovering from an injury or surgery, suffering from chronic wear and tear on your bones and joints, recovering from an accident, or you simply notice stiffness, pain, and tension in your muscles and/or joints, we are here to help you heal and feel better. Reach out to our physical therapists at our Hopkins or Woodbury locations today. With our holistic approach, we are confident we can provide you with an effective, customized treatment plan to help you heal and recover quickly and efficiently. What’s more, our highly effective recovery programs may integrate therapies such as massage and chiropractic care. Therefore, we’re sure your overall health and well-being will gain traction as you set out on your path to a full, long-lasting recovery from pain, discomfort, limited mobility, and loss of function. Contact us by phone or online to learn more about our physical therapy program in Hopkins and Woodbury! We’re here to help you live a healthy, happy life. Kelie Davis was born and raised in Delano, MN. After high school she pursued her bachelor degree from the University of North Dakota in athletic training. She went on to receive her Doctorate in Physical Therapy from the University of Minnesota in 2006. 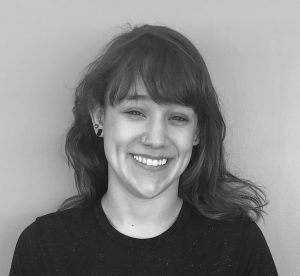 After graduation, Kelie worked as a therapist in an integrative clinic similar to Hopkins Health and Wellness Center, working closely with Chiropractors and massage therapists to create well rounded rehabilitation programs for all patients. Kelie loves being a Physical Therapist because she gets to help people improve their symptoms, improve their fitness, and improve their overall well-being. Kelie and her husband live in Osseo, MN with their two children. When Kelie is not at work she loves spending time outdoors biking and running, which helps her train for triathlons. Unfortunately, Minnesota summers are short, so in the winter Kelie spends a great deal of time scrapbooking. J.A. Schwartz manages the physical therapy department at Hopkins Health and Wellness Center. He has over 20 years of experience as a physical therapist working in outpatient orthopedic care. He specializes in manual therapy, with advanced training in shoulder care and throwing mechanics, lumbar, sacral and SI dysfunctions, sports medicine, post-surgical rehab, women’s health, and pre- and post-natal physical therapy. J.A. is also skilled in craniosacral therapies and myofascial release techniques. J.A. 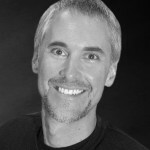 has managed PT clinics since 1994, and he has practiced in Minnesota since 1997. He has attended orthopedic surgeries and observed spine interventions such as radio frequency ablations and epidural injections. J.A. has been a featured speaker at continuing education courses, has lectured extensively on obstetrical physical therapy programs, and has written multiple articles for professional journals. J.A.’s straightforward teaching style helps patients better understand the nature of their condition as well as the recommended interventions. Honoring patients is the core of J.A.’s practice philosophy; he listens attentively to ensure that he clearly understands every individual’s concerns and expectations. J.A. has been married to his wife Joyce, a Physical Therapist Assistant, since 1996. They have two teenage children. J.A.’s interests include coaching sports, writing and doing radio voice-over work. 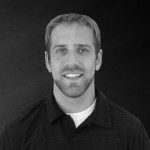 Trevor Northagen received his Doctor of Physical Therapy in 2012 from the University of North Dakota. Trevor’s affiliations include a neurological affiliation during which he worked mainly with CVA patients and two outpatient orthopedic clinics. He has worked with a variety of patients, including a large number of patients experiencing back pain and joint replacement. 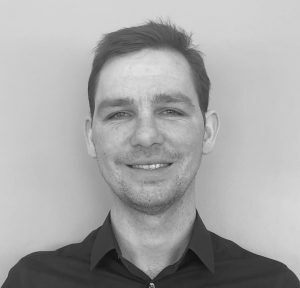 Trevor is experienced in MDT and Sahrmann techniques, as well as ASTYM/Graston technique, to effectively treat back pain on patients. Trevor enjoys a challenge when it comes to his job. He is interested in the minimalist running population, enjoys working with patients experiencing back pain, and is skilled in providing the tools to help patients with knee pain regain their mobility. In his free time, Trevor likes to go Crossfitting, officiate and play hockey, play cards, read, and spend time with his wife, Sarah. After earning her undergraduate and graduate degrees at The College of Saint Scholastica in Duluth, Kellie Stebe spent the next two years gaining valuable experience at integrated care clinics. She worked collaboratively with chiropractors, massage therapists, and other physical therapists to design and carry out customized rehab programs for patients. Kellie loves being a physical therapist because she makes a positive impact in the lives of her patients by helping them improve their health and well-being. Born and raised in Cook, MN, Kellie hasn’t strayed far from her small-town roots; she now lives in Monticello with her husband, daughter, and three dogs. Kellie enjoys spending time hunting, fishing, four-wheeling, camping, and hanging out with friends and family. Elissa grew up on a farm in Owatonna, Minnesota and attended Luther College in Decorah, Iowa where she swam competitively all four years while working on her bachelor’s degree in Biology. She then attended physical therapy school at University of Wisconsin La Crosse. 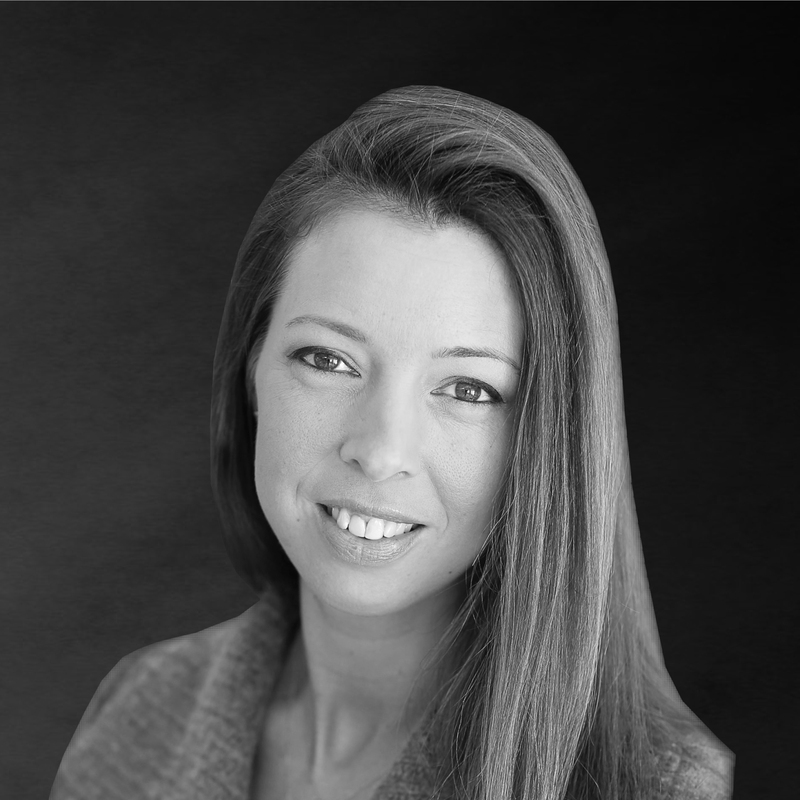 Elissa is a board-certified Orthopedic Clinical Specialist and is KinetaCore trained for Dry Needling. 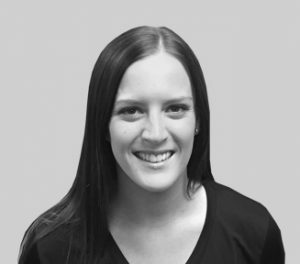 She is currently training in Functional Diagnostic Nutrition and is trained in Selective Functional Movement Assessments. Elissa is passionate about health and wellness, and incorporating wellness lifestyle strategies into her own life as well as her treatment plans for her patients. Kurt completed his Associates Degree to practice as a Physical Therapist Assistant in May of 2016 from Lake Superior College in Duluth, MN. 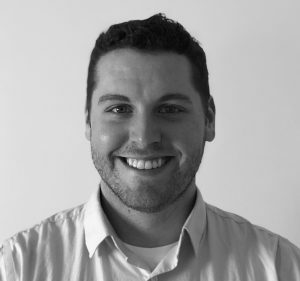 Kurt moved to the Twin Cities upon graduation and immediately started his career in Physical Therapy at Hopkins Health and Wellness. He enjoys working with a team of Chiropractors, Physical Therapists, and Massage Therapists to provide a non-surgical approach to many neck and low back pain issues. He had worked in the healthcare field for 7 years with patients who had developmental disabilities prior to becoming a Physical Therapy Assistant. Being able to help patient’s every day and better their lives, fueled his drive to become a Physical Therapist Assistant. In his free time, Kurt enjoys spending time with his wife traveling, biking, fishing, golfing, and snowboarding to stay active and taking in all the seasons Minnesota has to offer. 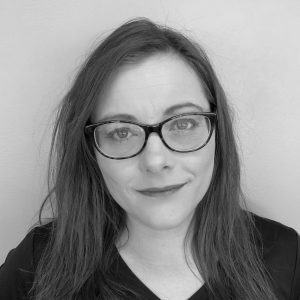 Born and raised in Shakopee, Joy completed her Bachelor of Arts in Elementary Education at the College of Saint Benedict, and then traveled to the Czech Republic where she earned her certification to teach English as a foreign language. Upon returning to the U.S., Joy moved to the Pacific Northwest where she became interested in Physical Therapy after sustaining a knee injury playing hockey. Joy received her PTA degree from Anoka Ramsey Community College. Joy enjoys working at Hopkins Health and Wellness Center where she is able to combine her loves of teaching and physical therapy with the interdisciplinary approach of the DMR Method. 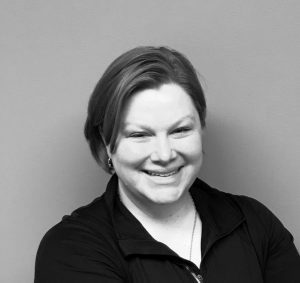 Dustyn O’Connor is a licensed Massage Therapist who graduated in December of 2015 from CenterPoint Massage & Shiatsu Therapy School & Clinic in St. Louis Park. Department. Dustyn was drawn to HHWC because of the way that the DMR method focuses on the patient as a whole. He also likes the close role that the Massage Therapists have with the Physical Therapists. 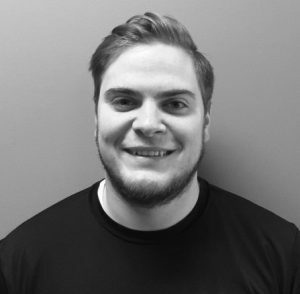 Dustyn feels that working with the HHWC team is an educational experience that inspires him to further his manual manipulation skills in tendons and ligaments. 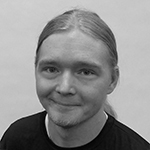 Outside of work, Dustyn enjoys having an active lifestyle attending festivals, concerts, biking, hiking, and camping. He also loves dressing up for the Renaissance Festival, Halloween as well as different conventions. Katlyn Lastine earned her Massage Therapy certificate from Aveda Institute Minneapolis in 2017. She is planning to further her education into a Physical Therapist Assistant. 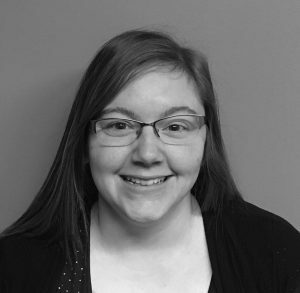 Katlyn was born and raised in Hanska, Minnesota which is in Southern Minnesota. She became interested in the health care field as she always had a passion for helping others by making them feel good about themselves and their bodies in a healthy and holistic way. In her spare time, you find Katlyn attending any sporting events she can get her hands on, spending time with her family and friends, or simply hanging out with her three dogs and cat. Sandra Conde, CMT graduated from CenterPoint Massage & Shiatsu Therapy School & Clinic in St. Louis Park MN. She specializes in Sports and Therapeutic massage, Trigger Point release, stretching, and is also a certified Kinesio Tape Practitioner. Sandra has been practicing massage for over 6 years. Sandra’s knowledge of the human anatomy combined with a hands-on approach gives her insight into what tissues and muscles are being affected. Sandra’s knowledge of sports came from her younger years as an athlete. She has participated in a variety of sports, but running has remained her passion. She was a collegiate runner; running with some of the top athletes in the nation. She has a lot of respect for those in collegiate and elite sports. Aside from work, Sandra stays active by participating in various sports and traveling on adventures with her 2 kids. She even likes to give her kids a routine/recovery massage when they beg her for it. Naomi Pierre is passionate about helping people heal in mind, body, soul, and spirit through the healing touch of massage therapy. 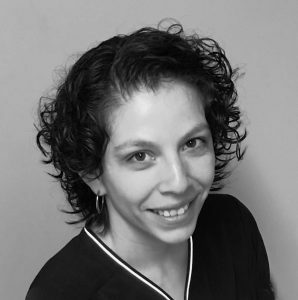 Naomi is certified in Neuromuscular Therapy and Myofascial Release techniques through Judith Walker DeLaney’s NMT Center (St. Petersburg, FL) and graduated with an Associate of Applied Science degree from Northwestern Health Sciences University (Bloomington, MN). Under the guidance of skilled instructors at NWHSU, Naomi learned the art of Clinical, Western Style Swedish Relaxation, Oncology, and Geriatric massage therapy techniques. She enjoys working with people who suffer from migraine headaches, TMJ syndrome, whiplash, shoulder and rotator cuff injuries, as well as hip discomfort and sciatica pain. When not working with patients and clients, she enjoys spending time with her family and friends, hiking, long-distance running, event photography, and cooking. 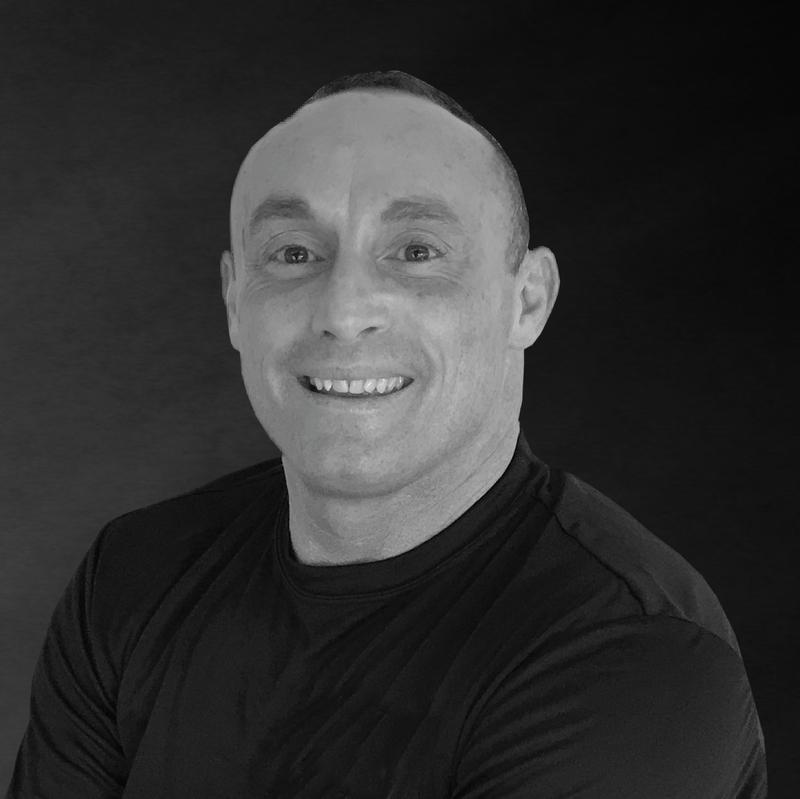 As a USA Diving coach for over 30 years, personal trainer, and health club manager, Ralph has the knowledge of sports, and training necessary to provide exceptional massage therapy for athletes and individuals of all types. His in-depth understanding of the body gives him an insider’s insight as to what each individual needs for sports readiness, rehabilitation, and preventative bodywork. Ralph is a two-time World Record Holder in the sport of diving at a Master’s level. Having over 20 Master’s National Championship Gold medals and several World titles to his name, he combines his years of experience with a deep knowledge of sports performance and training to provide unmatched therapeutic massage. Ralph received his degree in massage therapy at CenterPoint Massage and Shiatsu School and has advanced training and experience in kinesiology, anatomy, trigger point therapy, Swedish massage, and reflexology. 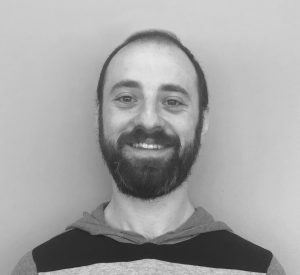 With a blend of clinical practice working with physical therapists, chiropractors and allied medical providers, as well as extensive experience in providing therapeutic massage, Ralph has an amazing skill set to help each patient with their individual needs. The only thing more impressive than his background and experience is his compassion for his patients and his ability to connect with each of them in a personal and professional way. 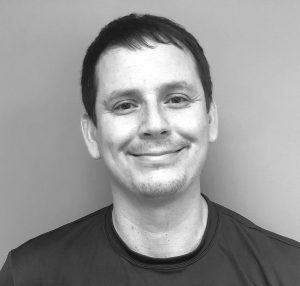 Ralph is a member of the ABMP, a professional massage organization and has been a member of the Hopkins Health and Wellness Center and DMR Clinic team since October 2015. Noah loves being a physical therapist because of the positive impact he can have on his patients. He loves building a strong rapport with his patients and seeing them improve and become more independent throughout their care. Noah Bularz was born and raised in Mukwonago, WI. Upon graduation from high school, Noah received his bachelor degree in Biology with a Bio-medical Emphasis from the University of Wisconsin La Crosse. Noah furthered his education at the University of Wisconsin La Crosse where he received his Doctorate in Physical Therapy in 2017. Noah gained valuable experience through his internships in a variety of settings. Noah enjoys spending his free time golfing, hunting, playing all different kind of sports and spending time with his wife and dog. Joshua Fingerman was born in Brooklyn NY, and moved to Minnesota in March 2018. Joshua graduated with his bachelors degree from Hunter college and received his doctorate degree from Touro college in NYC. Joshua wanted to become a physical therapist during high school because of his interest in orthopedics, sports, and pain free living. Alison Anderson attended St. Catherine’s University for Physical Therapist Assistant school and graduated in 2011. She has since worked in a transitional care facility, skilled nursing facility and for a home care office. Her own experience with physical therapy when she was a teenager is what motivated her to pursue a career in the medical field. Alison has been with DMR since August 2015 and loves working with and getting to know her patients. 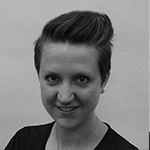 Away from the clinic, Alison enjoys spending time with her husband son, 2 dogs and cat. In her free time she instructs and works out at her parent’s gym, enjoys reading and outdoor activities. Max, his wife and two daughters love the outdoors, camping, traveling and just spending time together. Max grew up in Minnesota and has been through the ups and downs with the Vikings and the Wild, who he says will someday win the big game! Max also enjoys playing volleyball where he injured his knee and ended up in Physical Therapy. 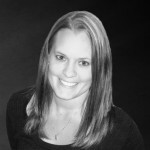 Melissa has been our Licensed Massage Therapist for over 3 years at DMR Clinic Woodbury. Her career began 10 years ago. Still to this day she has a true passion for deep tissue massage as she loves helping people recover, and feel their best. 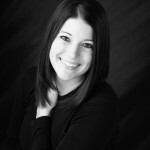 Melissa continues to enjoy her profession as she loves the challenge and finds Massage Therapy rewarding. One of her favorite parts about working at DMR Clinic Woodbury is building relationships with patients. When not at work Melissa enjoys spending time with her family; her husband, Craig, and 4 children. She also has 4 cats and 2 dogs that keep her busy. Holly Butler was a born and raised in Minnesota. She grew up near Cottage Grove. In addition to playing soccer, she was involve with theater and acted in many local productions. Holly always had a natural ability to massage people’s pain away and she helped many friends and family. It led to her developing a passion for helping people through massage. Holly went to Centerpoint Massage and shiatsu school and clinic in St. Louis Park to further develop her technique and skills. She loves helping people, and because she’s an animal lover, she even does massage on her own pets. Holly hopes to someday work in a zoo and help animals. In her free time, Holly enjoys her pets, spending time outdoors, playing soccer and acting in local theater productions. Aric Mathias is a certified massage therapist. Aric attended The Aveda Institute of Minneapolis where he pursued his love of helping people. Aric enjoys being with his family and friends and exploring new places. Schedule a Physical Therapy Appointment Now!